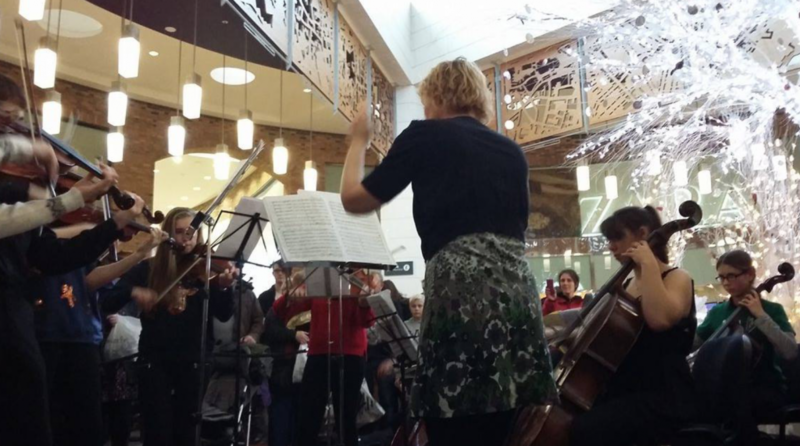 Professional double bass player and Doncaster Youth Jazz Association alumnus Alison Hawthorn now runs Vivace Strings, a youth orchestra, as part of Solihull Music Service. 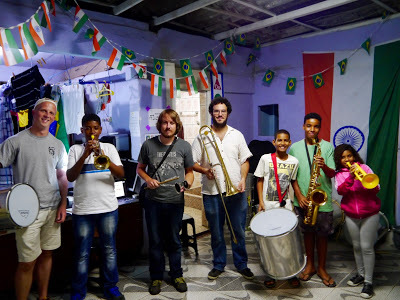 Just before Christmas Alison organized a public concert and a cake sale with staff and parents to raise money for Favela Brass. The events not only raised £230, but also yielded a donation of a trumpet to the project from Solihull Music Service! Our success as a project is totally dependent on acts of kindness such as these. All of the shows, recordings and parades only become possible if the children are receiving the tuition necessary to learn to play their instruments, which in turn requires funding: with funding we can buy in local professional teachers to cover the gaps that we can’t meet with our volunteer staff, and with funding we can also attract more volunteer teachers by offering them a better deal in terms of help with accommodation and living costs.